May 6, 2015  An injured worker, who was featured in a ProPublica/NPR investigation, testified about the cost of cutting benefits. 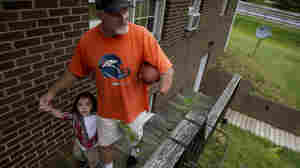 He asked lawmakers not to make the kind of cuts that got him evicted from his home. 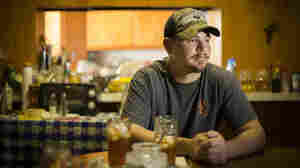 April 30, 2015  A ProPublica/NPR investigation into the case of a paralyzed worker prompted the state to warn insurance companies that they can't arbitrarily change treatment plans. April 25, 2015  Dennis Whedbee's experience illustrates the trade-offs for injured workers as states and insurance carriers seek to trim workers' comp by gaining more control over treatment decisions. 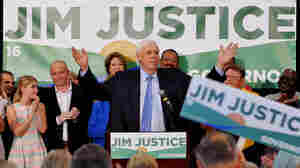 April 23, 2015  The measure, first proposed in 2010, would shut down mines if owners fail to pay fines for safety violations. March 30, 2015  In 10 states, injured workers are finding it more difficult to get or keep medical treatment their doctors prescribe because of reforms to workers' comp laws. March 16, 2015  After a NPR/ProPublica investigation of state changes in workers' compensation laws, the California labor department says it will review the case of paralyzed worker Joel Ramirez. March 10, 2015  Six weeks before trial, the government accused Don Blankenship of hiding the true levels of breathable coal dust in a West Virginia mine that later exploded. He already faced conspiracy charges. March 6, 2015  Injured workers dependent on workers' compensation face eroding benefits. We go to Alabama and Georgia, where the value of an amputated arm can vary by $700,000, depending on which state you live in. 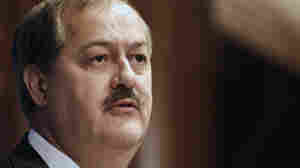 March 5, 2015  Dozens of news organizations, including NPR, appealed after a judge issued the gag order in a criminal case involving ex-Massey Energy CEO Don Blankenship and the 2010 Upper Big Branch mine disaster. March 5, 2015  Changes to workers' compensation laws mean families and government bear more of the costs that result from injuries on the job.